Home>New Songs>YBN Almighty Jay Songs> YBN Almighty Jay Drops Off New Track "2 Tone Drip"
YBN Almighty Jay came into the game as a rapper but it seems as if more people are familiar with his name through his relationship with Blac Chyna. It feels like over the past few months, we've heard more about his relationship with Blac Chyna than his actual music. Nonetheless, he's been grinding in the studio and has a new mixtape coming soon. Ahead of releasing it, he drops off his new single, "2 Tone Drip." YBN Almighty Jay is back with his new single and video for "2 Tone Drip." The rapper's latest single is set to be featured on the forthcoming YBN mixtape which is set to drop this Friday. It's undoubtedly a banger that'll be getting a lot of spins on the future. As his upcoming project drops this Friday, this is a perfect insight to hear what we'll be getting on YBN. 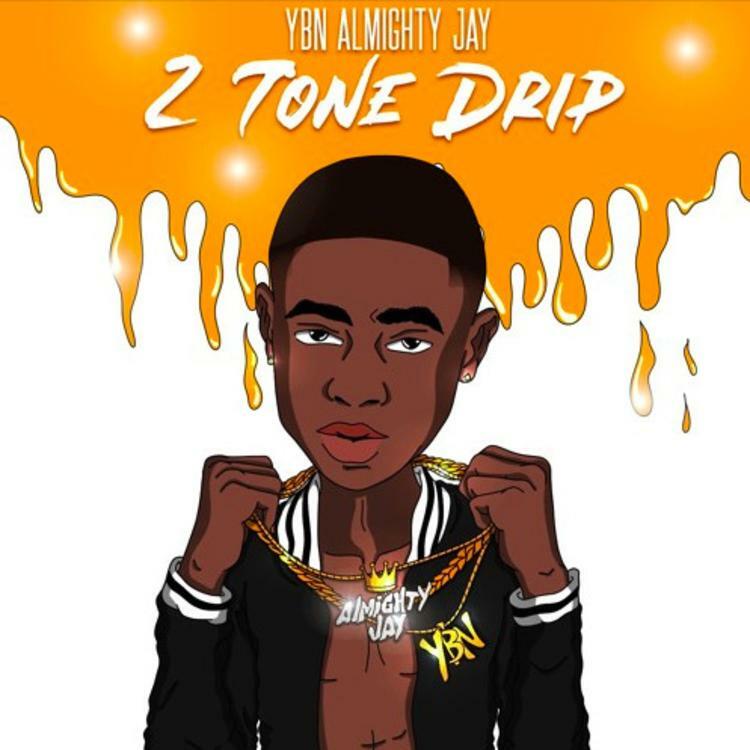 SONGS YBN Almighty Jay Drops Off New Track "2 Tone Drip"